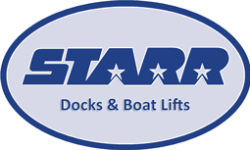 Canada’s largest dealer of Starr Docks & Lifts and Hewitt Boat Lifts & Docks product lines. 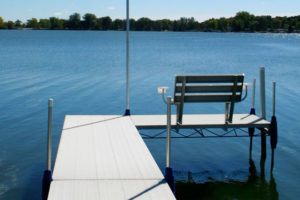 Docks & Piers are our specialty. 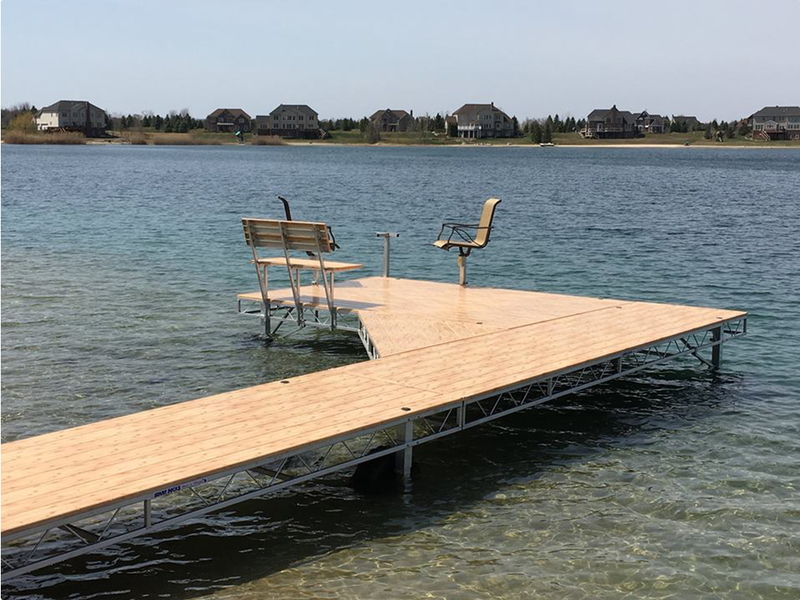 Whether you are looking for a stationary dock, roll-in &rolling wheel dock, or a floating sectional dock, we have got exactly the pier to meet your needs. From the initial consultation, to design, supply, installation and maintenance, there is not a single aspect we do not have covered. Whether you require a single slip dock or lift, or a fully serviced marina with hundreds of slips, DockStop has a solution for you. And because we are the premier Hewitt dealer in Canada, you are also getting over 40 years of Hewitt’s expertise and refinement in the marine industry. From our Calgary based office we can provide sales and service all over western Canada. 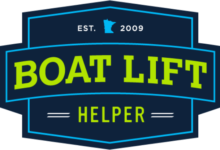 We don’t just sell you docks, marinas and boat lifts, we provide you a complete lakeside solution for all of your on waterfront needs. 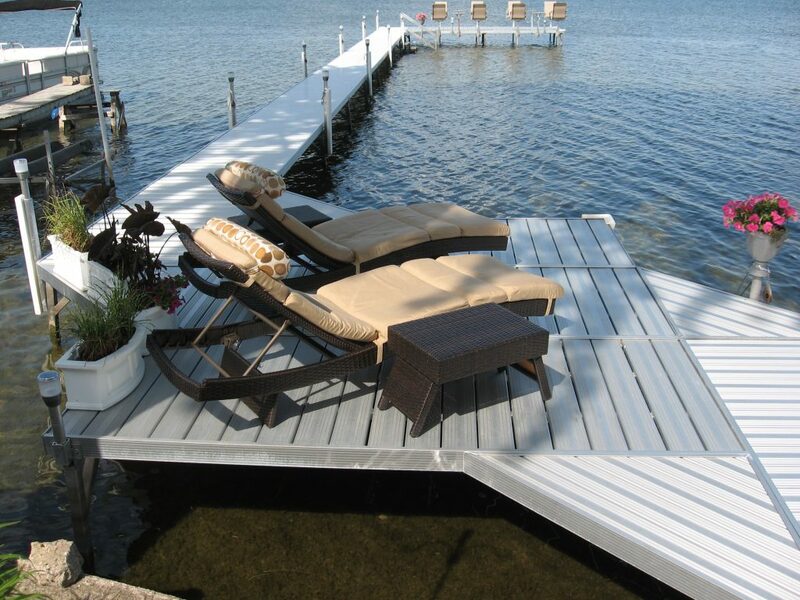 We've installed thousands of docks and lifts throughout Alberta, BC, and Saskatchewan. DockStop is your source for the marine industry’s benchmark in dock and lift design and manufacturing. 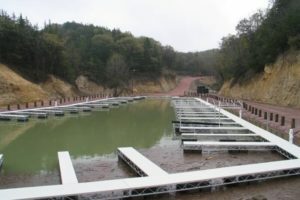 We here at DockStop place the same attention to detail and workmanship into every project we build. 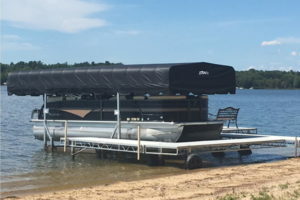 We stand behind our products with a 15 year warranty (excluding floating docks) to complete the highest level of service you will receive in the marine dock and lift industry. Please feel free to contact us at anytime. We greatly value your business and we look forward to starting your dream project. Email or call us today with your questions or comments.